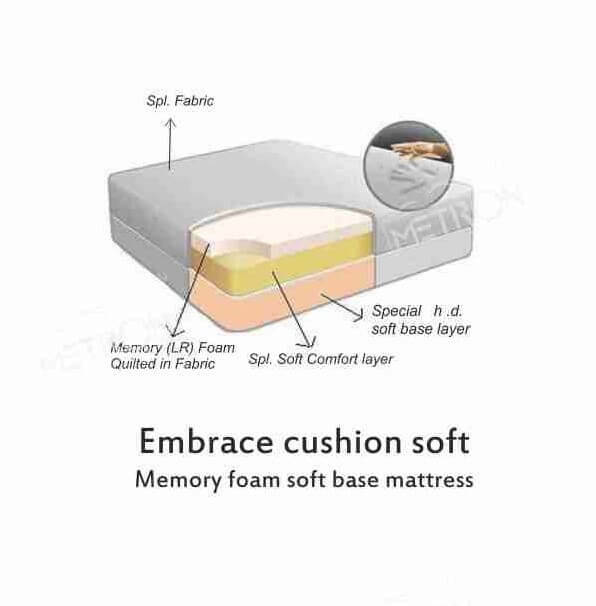 The Embrace Cushion Soft Mattress is one of the many offerings from Metron, We spend one-third of our life in bed, approximately 8 hours of sleep per day. Our physical, mental and emotional performances are all directly correlated to the quality of sleep you are getting into. The quality of our mattress drastically hit hurt -impacts the quality of your day-to-day activities, so it is very important to have the best mattress possible for your overall well-being. Good health requires healthy sleep, and that’s exactly what we provide. To help you overcome the stress in life we introduce the Embrace Cushion soft for every back. The temperature sensitive and pressure-relieving memory foam and the high-density Elio soft hr foam are good for Soft mattress lovers.